in our hotels since the beginning of the year, thanks to Too Good To Go. 60 AccorHotels properties in France use currently Too Good To Go, a mobile app that offers its users the opportunity to collect the fresh, unsold meals of the day at budget prices from local restaurants, cafes, bakeries and other stores. 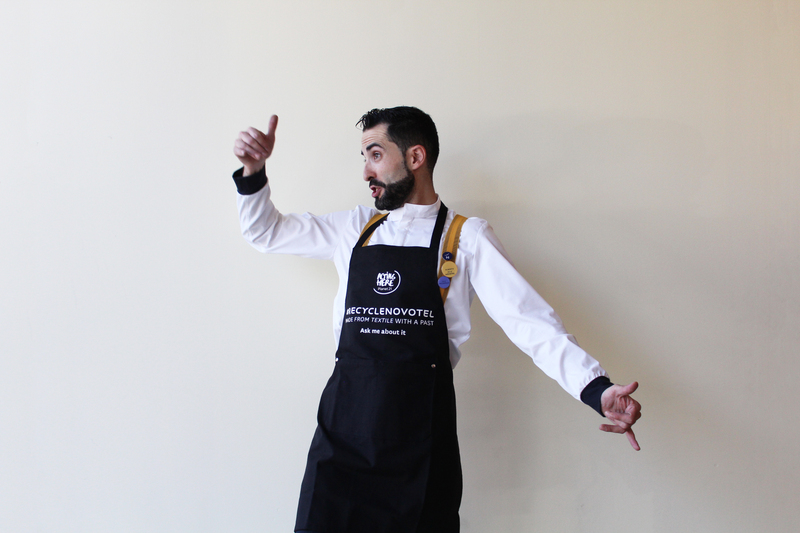 In Spain and Portugal, the restaurant teams from the Novotel brand have taken action to collect and sort their old uniforms and give them a new lease of life! In collaboration with workwear specialist Cepovett, they have been recycled and turned into aprons. This pioneering initiative for AccorHotels produced 700 meters of fabric from 650 kilos of used clothing and recycled plastic bottles. Novotel employees wanted to go beyond the obvious environmental benefit of this initiative by adding an educational dimension to it. Out of the 400 aprons created, 275 were for children. These aprons, as well as educational material – such as ­­­booklets with pictures for coloring – explaining the manufacturing process for the aprons and crayons, will be distributed to the hotels’ younger guests to raise awareness about the environment and recycling among future generations. This initiative is in line with Planet 21, AccorHotels’ sustainable development program which is structured around four focus areas targeting employees, guests, partners and local communities. La Grande Terrasse Hotel & Spa La Rochelle joins the MGallery by Sofitel collection. La Grande Terrasse Hotel & Spa La Rochelle MGallery by Sofitel will captivate nature lovers and guests in search of sea air. 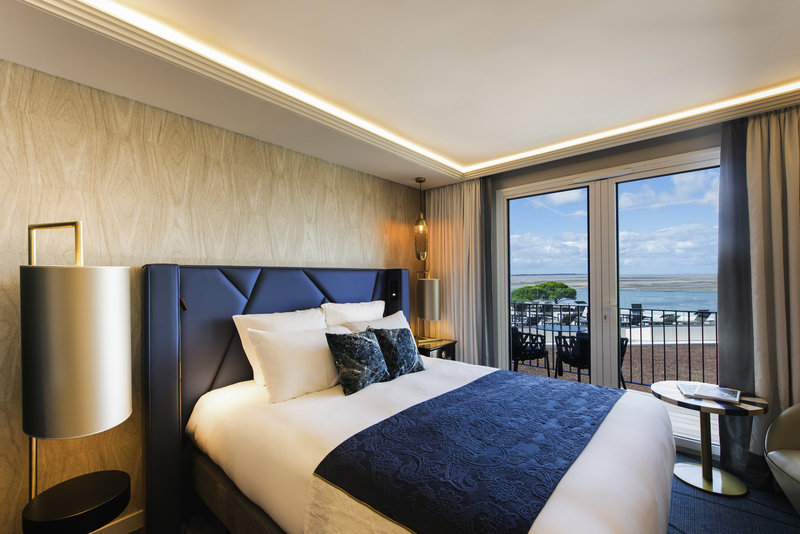 Looking out to the vast ocean, this new 4-star hotel located in Châtelaillon-Plage, the resort area of La Rochelle, has joined the MGallery by Sofitel collection following a major refurbishment. With a stylish seaside-inspired decor, the hotel is an ideal haven in which both staying guests and casual visitors can relax. At the hotel’s restaurant, the “Gaya”, guests can enjoy dishes prepared by the celebrated French multi-Michelin starred chef Pierre Gagnaire. With its coastal-inspired cuisine, Gaya offers simple dishes based on traditional flavors, prepared with a contemporary twist. Here nature’s ingredients take precedence, with seafood, fish from the catch of the day and a few land-based options. The prices are reasonable, like the iconic dish of Huîtres Gaya (sardine rillettes with coriander, fresh ginger and iced banana) at €12. The restaurant features a breathtaking view over the three islands making up the Charente archipelago: Oléron, Ré and Aix. The Grande Terrasse Hotel & Spa La Rochelle MGallery by Sofitel also boasts 72 rooms and suites with evocative names such as "La Demoiselle de L'Océan" (“Maiden of the Ocean”) as well as a Nuxe Spa, a fitness center and seven meeting rooms. “Fairmont Ambassador Seoul” to open in 2020. AccorHotels plans to open Fairmont Ambassador Seoul in 2020. Located in the financial district of Yeouido, the luxurious 326-room hotel is part of an integrated development by Parc 1 comprising a retail mall and two office towers. Designed by renowned architect Richard Rogers, the eco-friendly hotel features 326 guest rooms, a rooftop terrace, spa, fitness centre, pool, conference hall and four restaurants and a bar. The hotel is located adjacent to Yeouido Park and is within 5 to 10 minutes’ walk to Yeouido and Yeouinauru train stations. With Fairmont Ambassador Seoul, AccorHotels’ expansion in South Korea continues with signing of its first luxury hotel and 28th property. The Pullman Paris Tour Eiffel unveils its new cocktail menu. The cocktail menu at FRAME, the French-Californian brasserie at the Pullman Paris Tour Eiffel, is being reinvented for the fall. As a true extension of the lobby, the brasserie and bar are offering ever more creative menus. 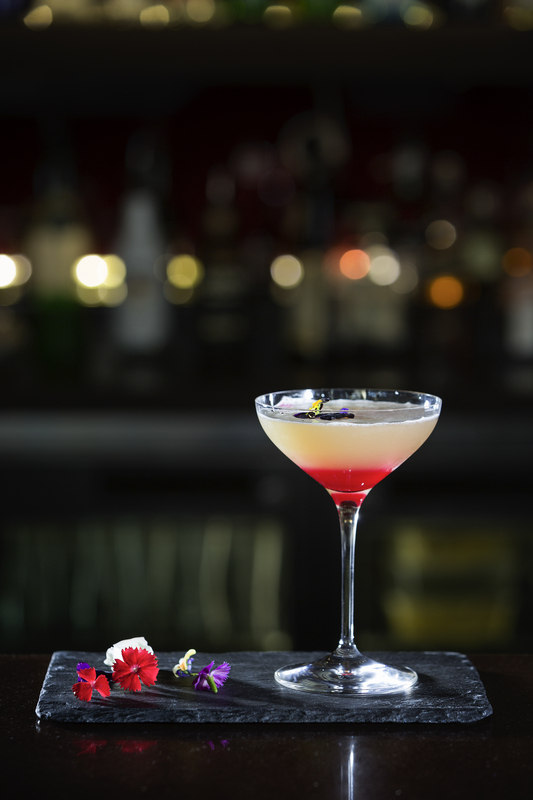 This time, the mixologists from FRAME have taken their inspiration from the works of Quentin Tarantino and are creating unique cocktails and mocktails. Each of them is named after one of the famous director’s movies, and under each title is a cult phrase from the movie in question, such as Pulp Fiction and its riposte, “Five dollars for a milkshake? Do they put Bourbon into the milk?”. This cocktail serves up an ingenious mix of Ketel One Citroen, fresh strawberries, vanilla sugar, basil-infused cream and bitter lime. For the final touches, the mixologists go directly to the hotel’s kitchen garden for herbs and spices. This green space covering 600m2 and located right in the heart of Paris also serves as a pantry for the chefs of the FRAME restaurant. They go there to pick herbs, berries, salad leaves and other fresh produce. The vegetable garden was designed with environmental responsibility in mind: the growing method is inspired by strict organic farming, without chemical fertilizers or pesticides, the wood is untreated and comes from forests in the Paris region, and the compost and plants from local nurseries. In addition, a henhouse sits just a few steps from the kitchen garden supplying the hotel with fresh eggs every day. Lastly, the Pullman Paris Tour Eiffel has 5 hives on its roof, the honey from which is also used in the kitchen. 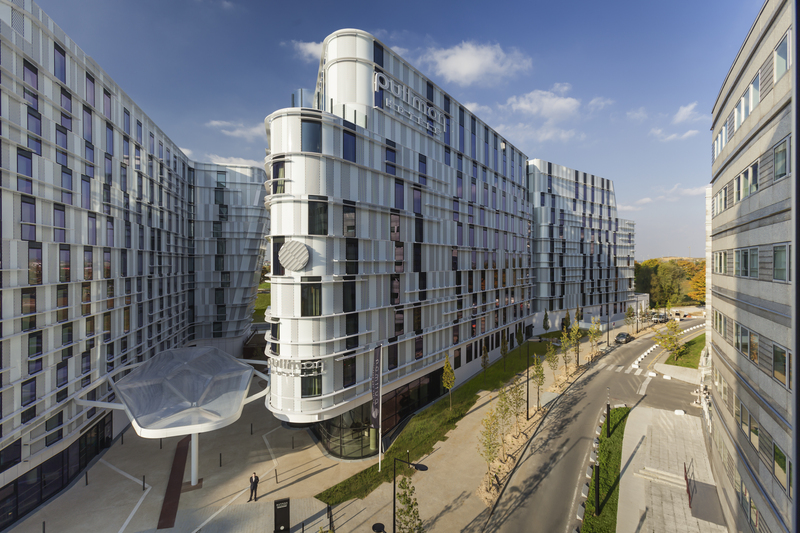 Afterwork waterground: The Pullman Paris Roissy CDG Airport celebrates its second anniversary! To celebrate the hotel’s second anniversary, the Pullman Paris Roissy CDG Airport is hosting a unique evening event on Thursday, October 19 in its swimming pool… without water! On this occasion, there will be a wide range of entertainment for guests to enjoy, like a pop up tattoo bar, a street art exhibition and an introduction to graffiti, and they will be able to help create a collaborative guest/artist work of art. Throughout the event, the hotel will be providing delicious cocktails and mocktails, as well as the Parisian artisan beers BaPBaP served at the Culinaire Bazaar. There will be three brasserie passes to be won during the event. Guests will be able to enjoy dishes prepared by Head Chef Christophe Pillet. Lastly, music will be provided by a DJ in the presence of extras whose bodies will be painted from head to toe for the occasion, like actual works of art. The Novotel brand, with its particular focus on families, is pulling out all the stops by organizing cookery workshops for children throughout France. To celebrate its 50th anniversary, Novotel is inviting local children and those staying in its hotels to take part in a cookery course. 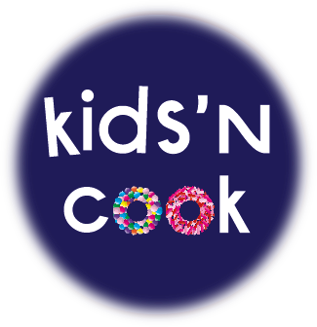 A prize draw will take place among the 90 participating hotels and on social networks to win places in the giant Kids’N Cook workshop at the AccorHotels Arena on December 9, 2017. The event will bring together 400 children accompanied by their parents. 50 teams will create a birthday cake measuring 6m in diameter and 2m high! This initiative illustrates Novotel’s commitment to being a family-friendly brand. 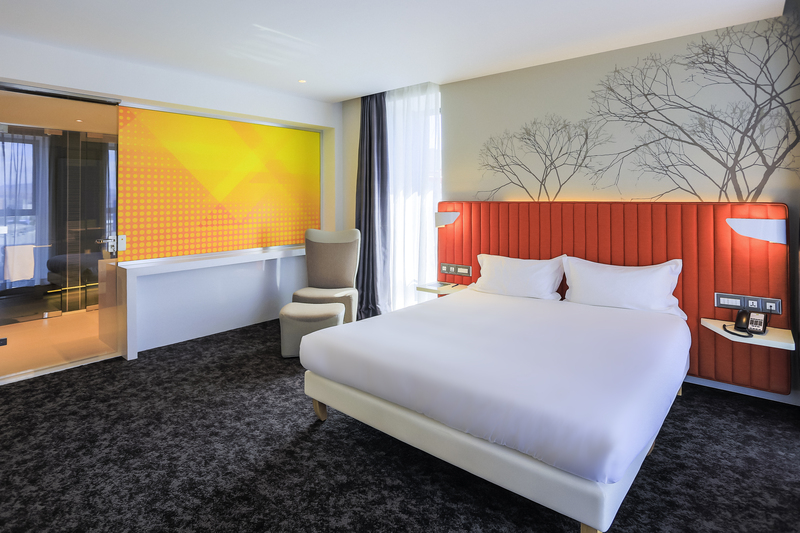 After Le Génie sous les Etoiles at the ibis Paris Bastille Opéra, the Stella Cadente Studio is this time taking over the ibis Paris Tour Eiffel Cambronne with La Place Gustave. It is a spacious venue that takes the form of a village square and where the local clientele and hotel guests alike can come to dine, enjoy a drink or work. 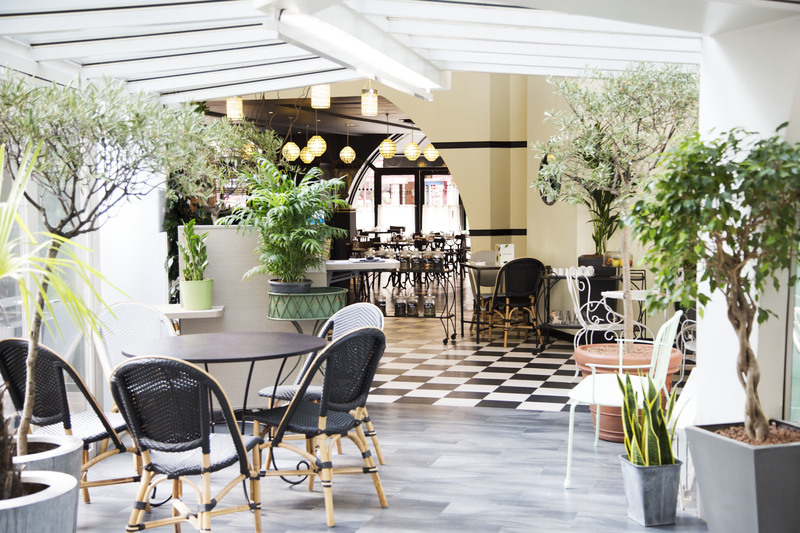 It includes a new brasserie (La Brasserie Centrale), a champagne bar (Le Gustave), a street food bar (La Clairière), a wine bar (L’oenomaniac) and a tea house (Le Fleuriste), as well as a small concept store. In each of these locations, fresh produce and the local terroir are showcased to offer high quality, delicious and good value cuisine. In terms of decor, the Eiffel Tower provides the main source of inspiration with Nature’s serenity also in evidence. The colors are dark yet striking, the materials of the finest quality and the atmosphere cosy. And then, suddenly, you are enveloped by the gentleness and radiance of a clearing: light wood structures, majestic oak trees made out of cork, plants, etc. It is a unique setting conducive to a sense of wellbeing. “La Place Gustave”: Ibis Paris Tour Eiffel Cambronne, 2 Rue Cambronne, 75015 Paris. The ibis Styles brand is continuing its international expansion and opening its first location in Mongolia. With 95 rooms, the hotel offers a very design-focused environment with striking colors, totally faithful to the brand’s modern and dynamic image. Located 15 minutes from Gengis Khan International Airport in the Khan Uul district, the hotel is an ideal starting point from which to discover the capital and all the wealth of tradition that Mongolia has to offer. With museums, galleries, shows and nightclubs, there is no shortage of opportunities to go out… but for those who prefer to stay in, the hotel has a restaurant offering both international cuisine and local specialties! Business travelers will be interested to know that the hotel boasts two meeting rooms with a combined capacity of 80 people.